Through theatre games, song, and dance, students will explore and expand their creativity, imagination and confidence. Students receive introductory training in acting while embarking on a play creation process that focuses story building, character creation, movement, and collaboration. Final performance: December 15, 2018. *Please note: JMT1 and JMT 2 will jointly present a final production at the end of their programs. Students receive introductory training in music, voice, dance and acting. 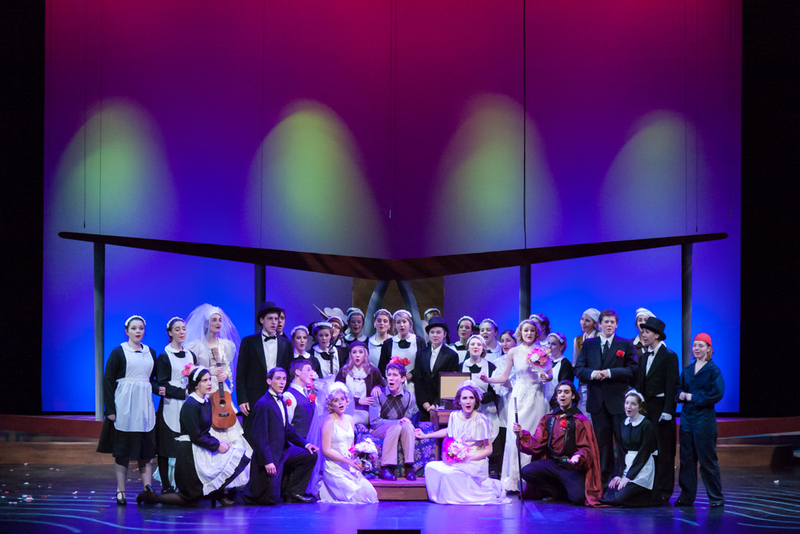 The course culminates in a 30-minute musical theatre performance with professional production values. *Please not: JMT1 and JMT2 will jointly present a final production at the end of their programs. Students study intermediate voice, dance and acting technique as they work towards staging an hour-long, fully-produced production under the guidance of a professional director, choreographer, and music director. Audition required. Intermediate Acting - New Class! Students study acting theory, movement and voice technique as well as different forms of performance and storytelling through various workshops. As a group, students will learn about different aspects of bringing a production to life, as they collectively select, adapt and design a one-act, fully produced production mentored by professionals. Audition required. Our senior students study singing, dance and acting. A high degree of skill and discipline is required. This highly-focused course culminates in a full-length, fully-produced spring production at the Fredericton Playhouse, mentored by professionals. Audition required. Senior Acting - New Class! Students will study advanced movement, acting theory, voice, as well as additional workshops in preparation for further theatre studies. Students will learn about scene study and script analysis as they collectively select the full-length script that they will stage in a fully produced production mentored by professionals. Audition required. Intro to Musical Theatre Dance - New Class! Intro to Musical Theatre Dance is for students interested in learning about the world of musical theatre dance! The class explores multiple genres as well as basic dance technique. No prior dance experience is necessary. All students will gain expertise and confidence in dancing in musicals while learning in a fun, encouraging and safe environment. This class is designed for students with dance experience looking for a more challenging approach to musical theatre dance. The class explores multiple genres as well as dance technique, conditioning, and flexibility training. All students will gain expertise and confidence in dancing in musicals while learning in a fun, encouraging and safe environment. Phone: Call 460-1381 ext 106 to complete the registration form and payment over the phone. Payment must be received in full by the first class. A deposit and payment plan may be available if discussed in advance. TNB accepts cash, cheque, VISA or MasterCard. Auditions are required for: Intermediate Musical Theatre, Intermediate Acting, Senior Acting & Senior Musical Theatre. Auditions are booked on a first come, first served basis. Auditions are booked in 5 minute time slots. Students are asked to arrive early to complete the registration form. Musical Theatre: Students auditioning for Intermediate or Senior Musical Theatre programs are asked to prepare one song, any style. Auditions will be held at the Theatre New Brunswick rehearsal studio. Acting: Students auditioning for Intermediate or Senior Acting programs are asked to prepare one monologue (1 min max). Auditions will be held at the TNB Theatre School, 55 Whiting Road. Email: theatreschool@tnb.nb.ca to book an audition. We encourage all potential and current TNB Theatre School families to familiarize themselves with our TNB Theatre School policies. A limited number of TNB Foundation bursaries are available for eligible students. To apply for our bursary program, please email theatreschool@tnb.nb.ca to request an application.